Should I Build a List of Email Subscribers or My Social Media Fan Base? From Don: Today I’m excited to have Carol Amato as a guest contributor on Unveil the Web. Carol is a blogger that I have admired for six months, engaged with heavily both on my blog and hers as well as social media. I’ve come to deeply respect her ideas, thoughts and experience and I know you are in for a treat today! The short answer is BOTH . . . IF you have the time. However, if your schedule is busy, and you only have time for one, build a list of subscribers! 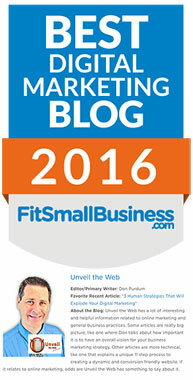 Social media has taken over as the most commonly used form of online marketing. Many email marketers, even those who’ve already built email lists, are shying away from using them. It’s easy to understand why they would be swayed; the hype around social media is so strong that many Internet marketers feel compelled to follow. I’ve often spoken of list building being the model for your future business success, and I’m grateful that I was taught the importance of building a list from day one. There are many comments on high level forums where 6 and 7-figure earners regret not making building a list of subscribers a top priority early on in their businesses. 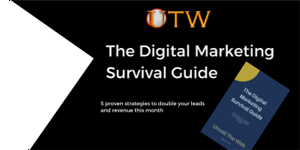 Unfortunately, when it comes to getting new leads and improving your bottom line social media isn’t getting the job done as well as list building. Consider this; when you send out a tweet you may get on average maybe 10, at the most 15, people getting back to you. Research has shown that if you take the very same message and craft it into an email and then send it to your email list, there is a good chance that you may get between 30 and 40 people getting back to you. To understand why email lists have a much better chance of growing your online business than social media does you’ve got to go back to the numbers. It’s true that the number of social media subscribers is huge – Facebook went past the 1 billion mark some time ago and Twitter and others aren’t that far behind. What most marketers fail to consider is that email is BIGGER! There’re approximately 4.5 billion people on earth who have an email account that they look at once a day. Now let’s look at it from an engagement point of view – what’s more likely to get attention, an email or a social media blurb? Truth is, people receive so much social media marketing chatter that they don’t pay much attention to any of it. If they were to respond to just a fraction of what they received on social media they wouldn’t have time left to do much else. 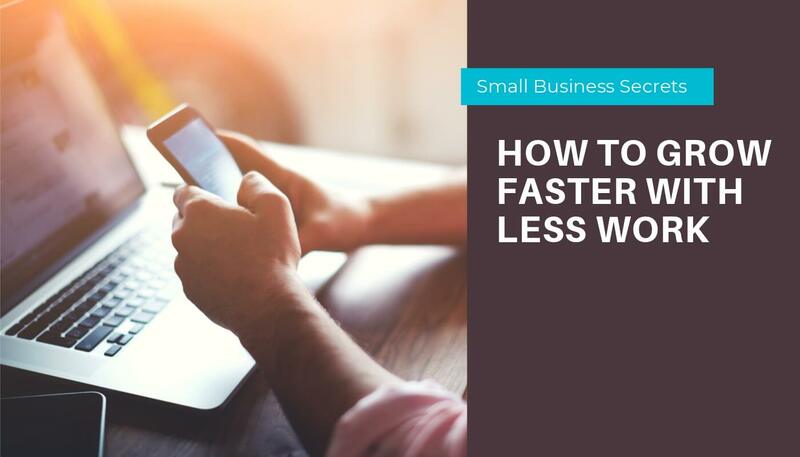 When you look at the number of emails received in comparison they’re much fewer – on average the moderate person will receive about 100 emails a day. True, most of them might end up in the Trash Folder, but these are the ones that are nothing but absolute junk. I’m not saying it’s not worth it to spend some time on social media to build up connections and relationships with like-minded people as we all know the benefits that connecting with influencers in our market can bring. What I am saying is that if you have limited time, which I think we all do, then your efforts should be concentrated on building an email list of subscribers. Seasoned Internet marketers will tell you that email lists come with an additional advantage – they are easier to build. When you ask users to give you their email addresses you’re offering them some value. They leave their email addresses behind in your opt-in form because you’ll give them something back that they find useful. It can be access to information in the form of a report, it can be the chance to be shortlisted for an upcoming event, it can be the chance to meet with you for a one-on-one strategy session – it can be whatever you choose it to be. Social media, on the other hand, has no freebies really. You want users to respond to you simply because you initiated a conversation. Without any reward what’s the motivation for a potential lead to leave you their contact information? Keeping your subscribers happy and interested in your content is an integral part of achieving success. Engaging your list of subscribers at a more personal level can make the difference in really connecting with your audience – or not. As we fine-tune our businesses to include everyone who might be interested in what we have to offer, it’s important to know exactly what each one is seeking. You’ve got to make a true effort to know the nitty gritty about what they’re looking for and how you can help them find it. If you craft an email that’s engaging and that passes on the kind of information that users are looking for then BINGO! You have traffic on tap! You just got them to open your email, read it and if you are good at communicating, they will visit your blog, read your content, comment on your articles, and get back to you either for more information or simply to buy your product or services. What’s Involved in Building a List? We already said that all it takes is an opt-in form on your website. There is a lot of great software that you can use to do this. 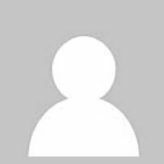 I like to use LeadPages, but many folks simply use their professional autoresponder’s tools. The important thing to note when building opt-in forms/pages is where they are located on your site. They should be within easy access of your visitors at all times. Give them a chance to opt-in at the top of the page, allow them to opt-in on every screen, each page, and where ever it makes sense to give them another chance to leave behind their email address. That said, NOTE THIS: Users get confused by clutter. If they see too many things on a webpage, they end up navigating away because the clutter’s too much. As you build your web pages keep in mind that users are jaded; their concentration spans are so short that if you don’t grab their attention in the first few seconds, you’ll lose them. When they come to your website it should be very clear what business your in, who you can help, what you’re selling, where they should opt-in and where they should buy once they make up their minds. You should strategically plan where to put opt in forms, banners, etc. to encourage visitor flow. Well and good about building a list of subscribers, but what should the emails contain? That’s an excellent question because you can have a million email addresses but if your messages don’t connect with them, you’ll never hear back; you’ll never even get them to open your email much less buy your products or services. You’ve got to make a true effort to know the nitty gritty about what your subscribers are looking for and how you can help them find it. So, you must be in tune with the needs and wants of your target audience. To learn to craft personal and engaging, as well as value-driven, emails correctly you must get in the subscribers’ minds: what kind of information are THEY looking for? It’s not about what you think they ought to hear. To find out what kind of information users want you could send a survey to ask them. Infographics, videos and podcasts – Use all means available to catch the eye of potential subscribers who may not respond to written content. I plan on increasing my reach in this area in 2015. SEO optimization and use of keywords – Also important to finding potential subscribers because it helps to track their online moves and lets you see what’s most important to them. Review and Interviews – Not only do these methods increase the numbers of your list – they also serve to boost your credibility and establish your brand. Incentives – Opt-in gifts that contain value and interest by targeting what you know about your audience and appealing to their interests and needs. Links and opt-in forms – Leaving out links on your posts and within your content is a big mistake that could cost valuable leads. Each and every article you publish should link to another within your site. Contests and Call-to-Action – These strategies can offer great incentives to your followers and can attract new visitors to your sites. Solo ad – When you are guaranteed of the quality of service rendered, purchasing a solo ad is an excellent way to get targeted traffic to build your subscriber list quickly. Be a guest or invite a guest – Guest posts can be invaluable to your subscriber list-building efforts. 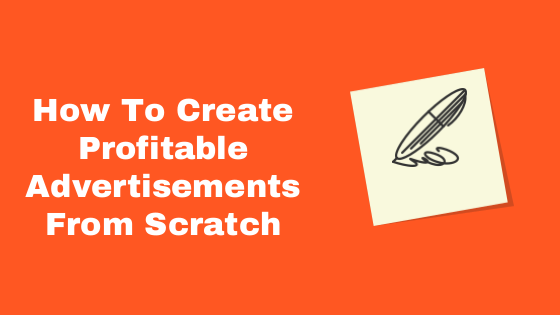 Almost every online entrepreneur enjoys and welcomes these methods to add to your list. Forums, Blogging Communities, Networking Platforms – Help folks on targeted forums and blogging communities and make great connections at places like Triberr. Only when you step out of your comfort zone and try new list-building methods are you likely to create a system that will propel you to business success. Reaching out at every level you can is the best way to catch their attention at a personal level so you hear from them again and again. When your conversion rate isn’t what it should be, it’s time to rethink your strategies – and choose others or weed out those which aren’t doing you any good. So many great list-building strategies exist that you shouldn’t have a difficult time choosing. Also, don’t oversell. I see many marketers making this mistake. It is annoying, and tedious at best, for folks on your list when every second line they read in your emails is urging them to buy from you. Communicate information that they can use to better their lives and solve their biggest frustration. Become a leader in your niche by caring and helping others get what they want, and the sales will follow. The consequence of not having strategies to make your list bigger and better is that you’ll get left in the dust by the competition. You’ll also lose the interest of those who are already on your list. If you’re not constantly updating and tweaking how you communicate with your list, they’ll fade in numbers and eventually disappear. Explore new ways to add to your list and also new methods of communicating with them. There are so many new and different ways to catch the interest of your followers that you’re doing yourself a real disservice if you don’t try at least some of them. Using new and varied ways to communicate with your customers also opens the door to building relationships with them. While one type of customer may not respond to a certain method – another will. It’s your job to weed out the methods that aren’t working for you and replace them with those that will. Subscriber lists can pay off for you in a big way and the future of your business could depend on how you’re targeting these lists and drawing them to your sites so that conversions are not only possible – but probable. So many methods of drawing customers to your sites are available, but none are as important as the lists you build from your subscribers. 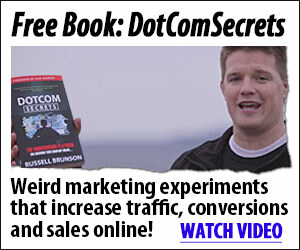 You’ll know your list building methods are working when you experience a boom of sales conversions. If your business is stagnant, it may be time to investigate entirely new methods or targeting and segmenting your list. Above all, don’t underestimate the power of your list. It can help in JV ventures, branding your product and being sure that your presence is felt on the Internet – and much more. Staying ahead of the competition by using your list effectively is the single most important thing you can do for your online (and offline) business. It’s not just about delivering news anymore – it’s about knowing how to entice visitors to opt-in and how to convert that opt-in information into a lucrative stream of income. Learn all you can – and then put your list to work for you. It should be understood that the underlying motive is to help others and bring value to their lives. If my business was taken away from me, and I had to start all over again from scratch, and could choose only ONE thing to keep – It would be my list of subscribers! I could easily build my business back up again in a short time because I have a wonderful relationship with them, and it’s like having traffic on tap. I’m definitely a proponent of building an email list from the beginning because I’ve experienced success based upon this very foundation. My first dollar was made with affiliate marketing, and how did I earn that dollar? By emailing my list an offer I had personally bought, found value in and recommended. A lot of people ignore list building, and focus on other sources of traffic, mainly social media. Social media is fine, and I’m for it, but I highly recommend decreasing your dependency on Google, that’s for sure. It really doesn’t matter what niche you’re in, building an email list is the best way to ensure sustainable traffic and income. Are you building a list of email subscribers? Side Note: Make sure your website is mobile responsive – more than 50% of people accessing the Internet are doing so by mobile devices. Pull your site up in a browser on your smart phone, and if it’s a mess and really different from the desktop version, you need to take immediate action. This is critically important moving forward if you’re interested in online business success. Previous StoryAre You Wasting Time Doing Content Marketing or Blogging? Next StorySuper Bowl Commercials Miss the Mark on Effectiveness! Is Your Marketing Missing the Mark?